Something doesn't make sense here. Your last blog entry was 2017 but you say to follow that. You say your postings on here are 1 1/2 years out of date but that's not what we see here. To much confusion here. His blog entries are dated for when they did what they did in the blog posts, not when he made the post. His posts here and on the blog are about a year and some change behind what they are actually doing. Does that make sense? I'm confused as well- last post on the website is over a year old, and they posted to follow the website a few days ago. Huh. They are still traveling and it looks like they plan to continue for 2 more years. The Expo blog posts are 1.5 years delayed and their Ridedot blog is just over a year behind actual. Thoughts (like being fatigued or ready to call it quits) and dialogue from blog posts occurred at that period in time. The posts that don’t look like blog posts are real time posts. For example, we know they took a break last summer-ish, thought about calling it quits, etc. but recently celebrated 6th year on the road. Looks like someone is listening... the forum is open again. We're so excited to be in Japan! It's been at the top of our bucket lists since the very beginning of our trip and now we're finally here! Neda's #1 item on her list was, "See Cherry Blossom Festival in Japan". We are arriving at the tail end of winter, so perfect timing for that! I'm a bit of a Japanophile, but not in the manga/anime way. I remember watching a Michael Keaton film in the 80s called "Gung Ho" about a Japanese car company executive who is sent to America to help turn around a failing auto company. It was a comedy and the humour was based on the cultural differences between Americans and Japanese. Ever since then, I've been fascinated with how different Japanese culture is to the west. Everything from their food, their entertainment and their way of thinking. I'm looking forward to seeing and experiencing all these strange, weird and wonderful things first-hand! I was prepared for Tokyo to be very expensive, but Neda managed to find an AirBnB apartment for $40! And it's surprisingly quite spacious as well! We thought we'd be sleeping in cramped tubes in Japan! LOL! We're making our temporary home in a north-eastern suburb of Tokyo called Sumida. It looks to be an older neighbourhood, very quiet, about 15 minutes train ride from the downtown core. What the heck?!? Fire alarm? No, it's coming from outside. I step out onto the balcony. Our apartment is right next to the train crossing. The "alarm" was the warning signal when the barrier comes down to stop traffic from crossing the tracks. The signal goes off every 15-30 minutes: PRM-PRM-PRM-PRM-PRM. Hmmm, perhaps this is why it's only $40/night...? We've gone from the blistering heat of Thailand to the still-shivering thaw of early spring in Japan. It's sooo cold, we need to crank up the heat in our apartment, even during the days. Uh oh. All the appliances and remotes are in Japanese! Fortunately the AirBnB host left us a manual with English translations! Also, there doesn't seem to be a shower, just a really deep tub for one person to sit cross-legged in. Is it just our apartment or do they only take baths in Japan? Unfortunately, there are no manuals for the toilet! There are a million buttons on the side of the bowl! Which one is the flush button?!? It's then that I realize that I can actually read a bit of Japanese! I know the Chinese characters for "big" and "small" and Japanese uses the same Kanji characters. Neat! So I quickly locate the buttons for "big flush" and "small flush". Now what do the rest of the other buttons do...? I press another one and instantly get surprised by a stream of warm water squirting up in my face. Oh. Yoshinoya! Our new favorite restaurant in Japan! We want our stay in Japan to be as non-touristy as possible, so I did some digging on where the locals go to shop and eat. 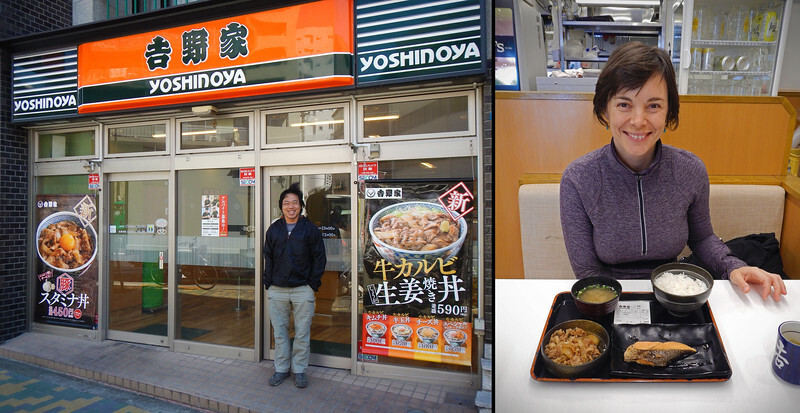 Yoshinoya is one of the most popular fast-food chains in the country. It seems like there's one on every street corner, like McDonalds, except that the food is actually healthy. Lots of rice and fish dishes. Delicious and cheap! Also, you know tourists don't go to Yoshinoya because - no English menu. We spent a long while with the waiter as he translated all the items for us. Also thankful that the menu is all pictures! We're going to have to commit them to memory because I have a feeling we're going to come back to this place over and over again! But then a funny thing happened. We go to Yoshinoya the next morning and I order natto again. Just to confirm that I really don't like it. This time, I mix in the soya sauce and hot mustard that it comes with. It's not that bad. We make Yoshinoya our default breakfast place and the next day, I find myself actually looking forward to eating Natto. And shortly after that, we go to the grocery store and pick up a 5-pack of Natto so I can eat it at home as well. Neda is not so easily convinced. Until I show her all the vitamins and nutrients that are found in fermented soyabeans. Natto is actually a superfood! Very high in Vitamin K.
We got ourselves a Pasmo train card! Living like a local! Everyone wears face masks in Tokyo. At first, I thought it was because of flu season, but after some reading, I found out that they wear these masks year-round. And it's not because they're afraid of *catching* germs. They're all wearing face masks as a courtesy, so they don't spread their *own* germs to other people on the subway or at work. This was our first important insight into Japanese culture. That all their behaviour is governed by being courteous and thoughtful to the people around them. 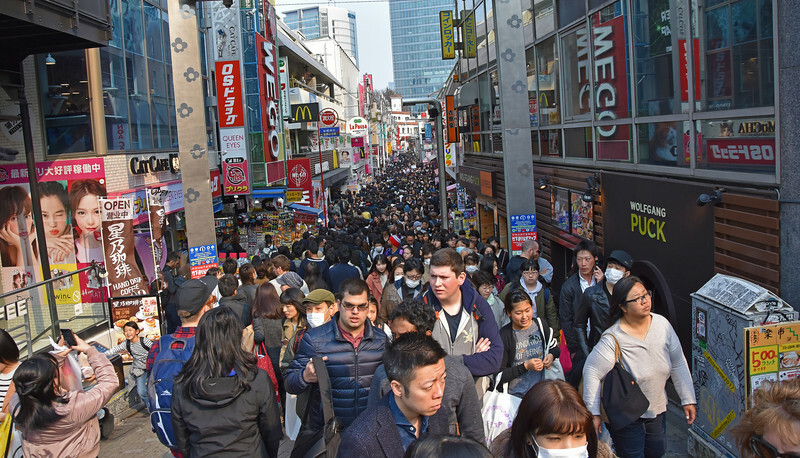 Tokyo is one of the most crowded cities on Earth. It just makes sense to make the extra effort to try to co-exist and make life easier for your (cramped and close-quarters) neighbour. How very un-Western like... I like it! 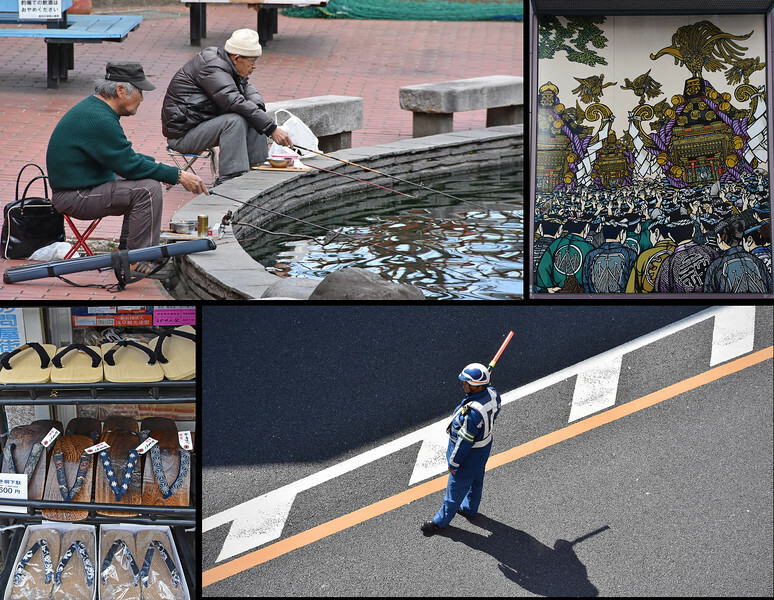 We're finding a lot of the traditional mixed with the new in Tokyo. 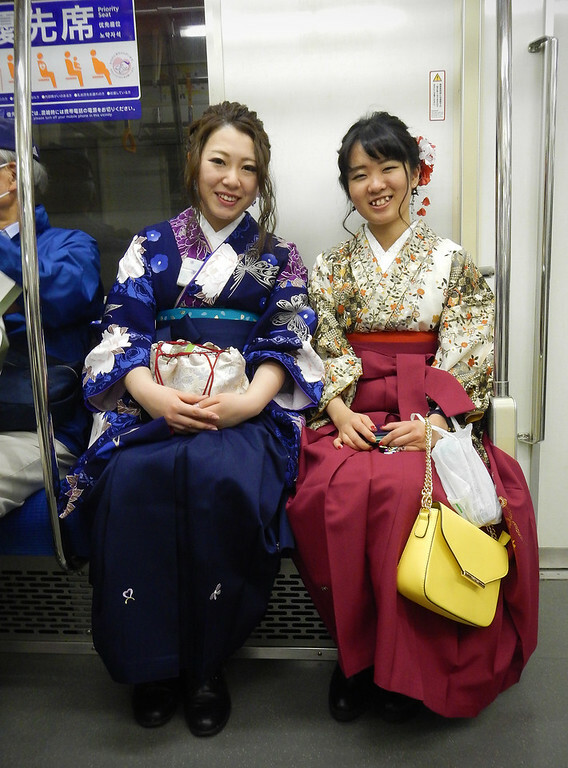 There are many women, young and old, wearing the traditional kimono out in public. It's nice to see. We're both liking Japan very much! Oh, another misconception we had about Tokyo: the subway is not crowded at all. At least not during non-rush hours and outside of the business district. Those videos and pictures of subway attendants shoving people into cars like cattle are only in specific stations in the downtown during peak times. We never had a problem finding seats on the Tokyo subway station! It started acting up in Thailand, and I've been suffering from shutter withdrawal symptoms ever since. But now we are in NikonLand where the cameras are less expensive, and tourists pay no sales tax... That in conjuction with a rebate if you use your credit card add up to about a 15% discount from what we'd normally pay overseas. Not bad! I look into repairing my old D3000, but it will take six weeks to fix. So I end up getting a brand spankin' new D7200. Bigger megapixel and it does video too. Sweet!!! Also picked up a couple of SIM chips for our phones so we can have Internet as we travel through Japan. Although Tokyo is very good for English-speaking foreigners, I think we are going to be using Google Translate once we're out of the big city! Walking through the streets of Tokyo, I was struck by how clean everything is! No trash on the ground! Coming from SE Asia, this was quite a change. We're both very impressed! Loving Japan so far! 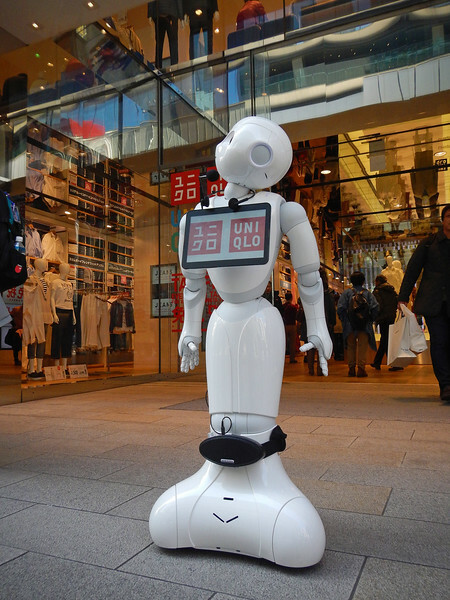 The Uniqlo robot welcomes us to the flagship Tokyo store. We are not prepared for the cold weather! We came straight from Thailand and all our cold weather clothes are in Croatia inside the panniers of our BMWs. Uniqlo is one of the most well-known Japanese clothing brands and they have a hi-tech line of base layers called HEATTECH. We stock up on the long underwear and long-sleeve undershirts. Because no sales tax for tourists! 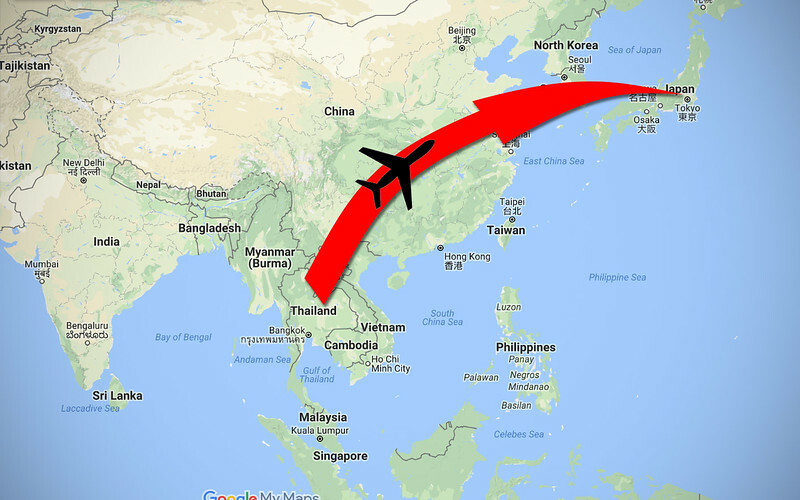 Although we are kind of splurging on this last stop on our journey, we're still mindful of costs and we contemplated camping while we are in Japan. Surprisingly, there is a big camp culture in the country! We downloaded a guide showing camping spots all over the islands. But after some debate, we decided it's still too early in the season in Japan to camp. Still snow on the ground in some areas! 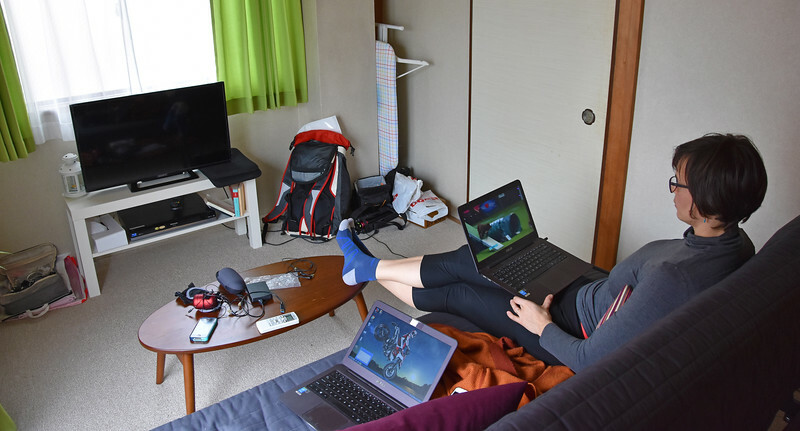 So hopefuly we'll manage to find cheap AirBnBs just like here in Tokyo. Neda's favorite kind of stores are outdoor equipment shops. We found another well-known Japanese chain called Montbell and picked up some fleece sweaters and gloves there. I am feeling more like a local shopping at all these Japanese stores! Us and a million other Gaijin tourists! ¥100 stores are not one specific chain, they are a type of store that sell everything for a dollar or less. 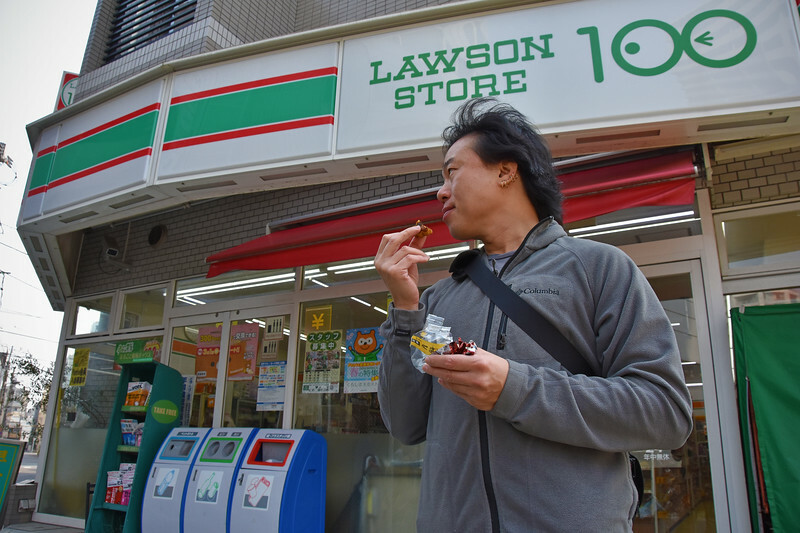 The most common ¥100 stores are convenience stores like this Lawson's above, but there are other stores that sell little kitchen knick-knacks, stationary stores, etc. They are popular in Japan not only because the products are cheap, but because the quality of the merchandise is very high as well. Good value for your ¥100! I've become addicted to Chinese moon cakes at the Lawson Stores. One thing I quickly noticed: there are no trash cans anywhere in Tokyo! The only ones I could find are outside the convenience stores, so you see a lot of people standing around, eating and drinking their goodies right outside the store so they can get rid of their wrappers and packaging immediately. Like what I'm doing above. I feel so Japanese! Ever since the ban, everybody stuffs their used candy bar wrappers and empty pop cans in their pocket and disposes of them when they get home. You would think such a system would never work and everyone would just litter everywhere in response to not having any trash cans around. But the ultra-clean streets are a testament to that Japanese be-considerate-to-everyone mentality. It's these little things I'm discovering that make me admire this culture so much. 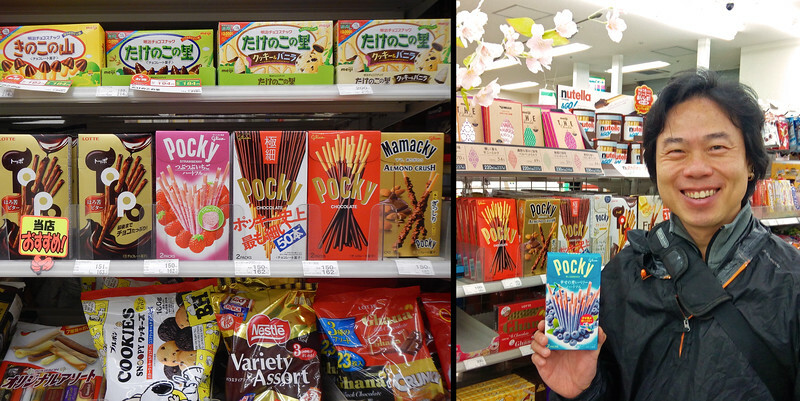 Pocky is a really popular snack, I think they can be found world-wide. They're these cookie biscuit sticks with one end that's dipped in chocolate. However in Japan, where they originated from, there are so many other flavours besides chocolate. I've never seen some of them, like almond crush and blueberry! Have to try all of them! This is our neighbour. He's rich. GT-R in Japan. Classic! One thing I'm looking forward to seeing are all the cool Japanese cars and bikes that were never imported outside of the country. We love our Yoshinoya and natto and everything, but sometimes you gotta splurge! This was one of the more recommended sushi places, right underneath the Tokyo Skytree around the corner from us. We had to line up 45 minutes before the restaurant opened for lunch to get a seat! Well worth it! The fish was so fresh, and we finally ticked off one of our long-standing bucket list items: "Eat sushi in Japan"! Very touristy though. We were handed English menus the moment we sat down. Everywhere you go, vending machines line the streets of Tokyo. It's rumoured that there are more vending machines than there are people in Japan. And there are a lot of people in Japan! What's strange is that there are vending machines outside restaurants and convenience stores. The restaurant vending machines make sense: you order your food and pay for it at the machine, it spits out a coupon and you redeem it for food inside. That way the workers inside never have to handle money. However the machines outside convenience stores are strange. They sell the exact same product as inside the store. It seems that people would rather buy a soda or snacks from a vending machine (and pay a bit of a premium) than walk into the store and have to talk to the clerk. I saw many people doing exactly this and the store wasn't even closed! So we promised ourselves not to do any touristy things. We failed. Takeshita Street is where all the young people go. We wanted to do some people watching and Takeshita Street in Harajuki is supposed to be filled with young people wearing crazy costumes: Japanese Goths, Anime characters, and Harajuku Girls (the ones you would see in a Gwen Stefani music video). The street is lined with fashion stores selling those clothes, as well as brightly-coloured crepe and ice-cream stores. However, when we were there, all we saw were wall-to-wall tourists, who were perhaps also looking to catch a glimpse of some Harajuku Girls. So crowded! We had to get out of there! 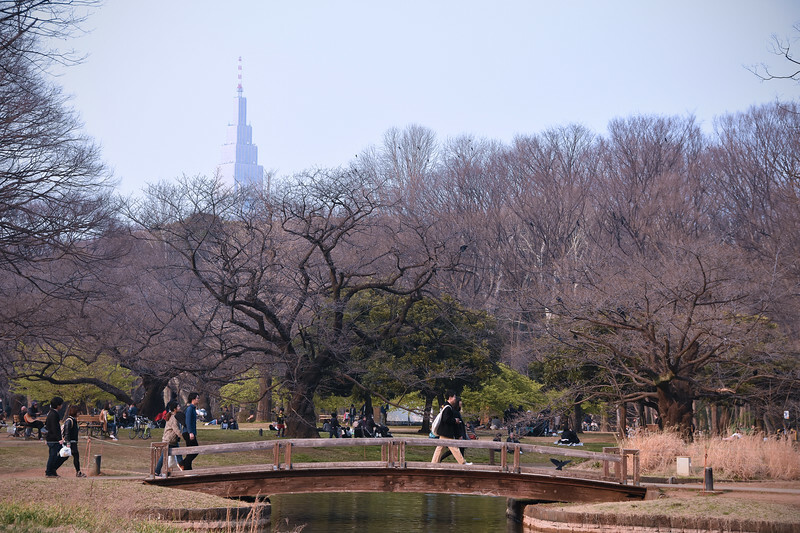 It's Tokyo's largest park right in the heart of the city. It kind of reminds me of Central Park in New York City. Since it's the weekend, there are tons of people enjoying the beginnings of warm weather after a cold winter. Lots of locals too! We like that. Greasers in leather and denim jackets gather around in a circle and swagger, sneer, swing and sway their hips to songs from Elvis and other Rock'n Rollers from the 50s. 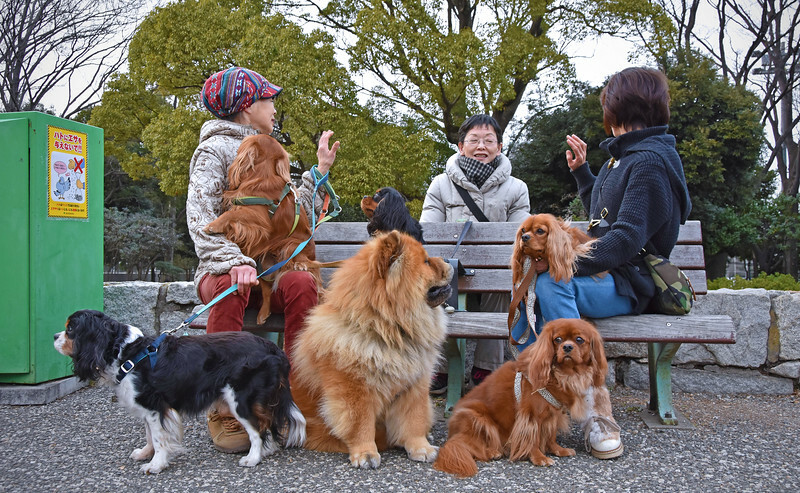 Nearby, a group of women in poodle skirts cheer them on. The dance-a-thon goes on for hours, and you can tell they do this every week because all of their leather boots are all falling apart and held together with duct tape! Very entertaining! Guy groovin' on the bass alone under the trees with a face mask on was a bit weird... but cool. Dog owners taking their pups out for a walk in the park. Hey... the Japanese are just like us. 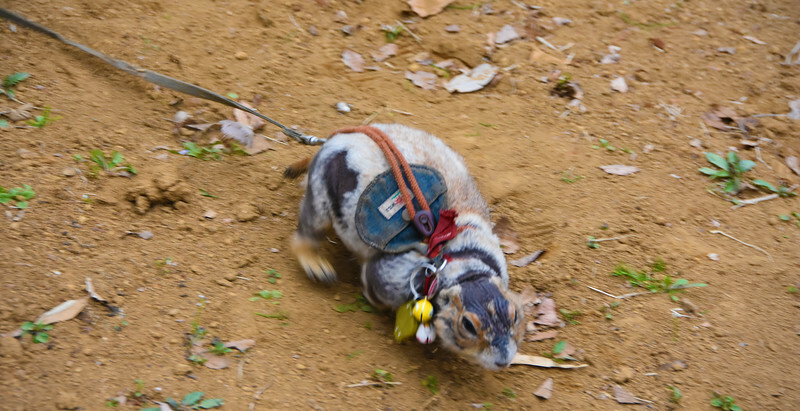 and then... squirrel on a leash. LOL... whut!? Japanese people are weird again. We end the day with a cold Asahi at our local neighbourhood Izakaya, which is kind of a Japanese pub. So thankful for the English menus! After dinner, we retire back to our awesome Tokyo apartment. I get the courage to try out some of the other buttons on our SuperTechToilet. When I press one of the pink buttons, a little melody starts playing! So I go on the Internet and I discover that this function is for shy women who don't want others to hear them go tinkle or doo-doo, as the melody masks the un-lady-like splash-downs. LOL! Japanese people are weird! On another note, I can't believe I just wrote "tinkle" and "doo-doo". What a welcome to Japan!